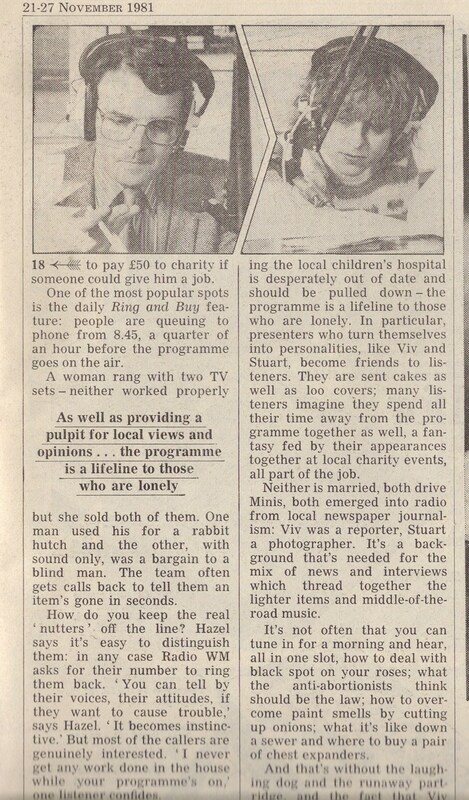 This Radio Times article from 1981 promoted the relaunch of Radio Birmingham as Radio WM, and 206. 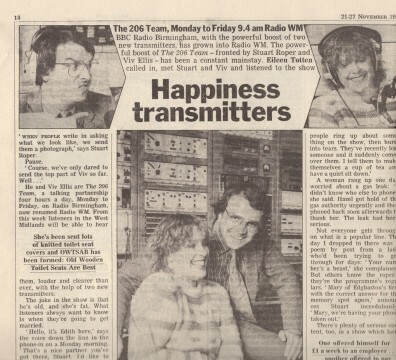 The station enjoyed much improved reception due to two new transmitters. 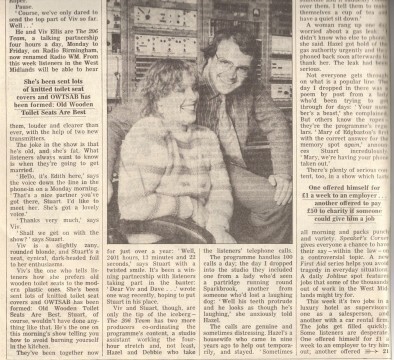 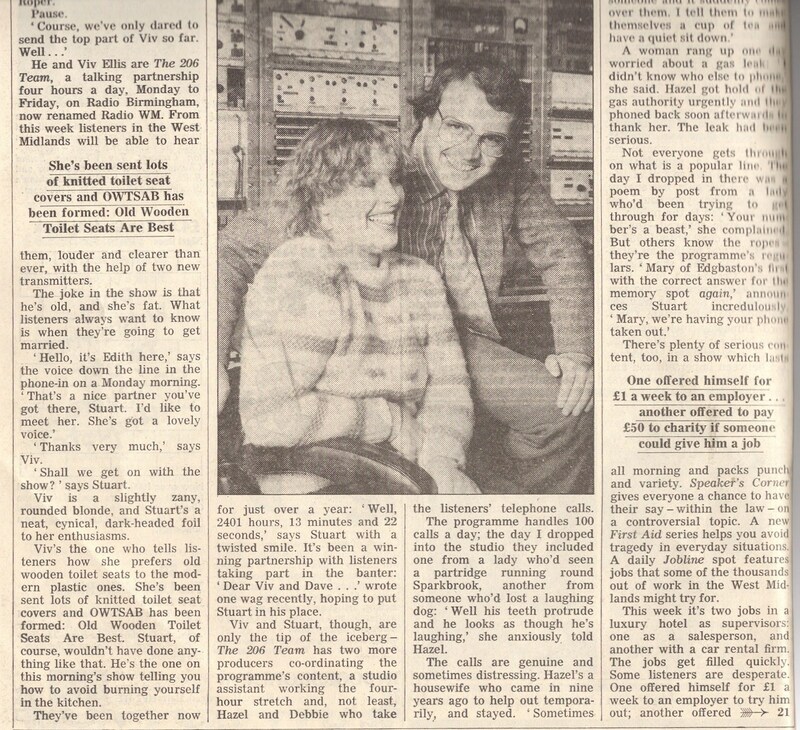 The article interviews Viv Ellis and Stuart Roper of the 206 Team, who were on air for four hours a day, Monday to Friday. Thanks to Viv Ellis for making the article available.